Some fields in the DataBrowser take parameters. This enables you to choose which data to display for that field. 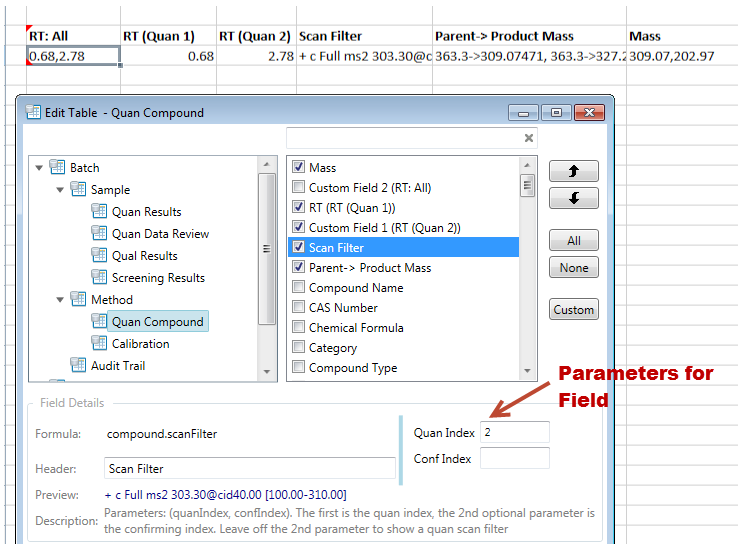 For example, for the Quan method->Compound table-> Mass (m/z) field, you can choose which quan peak to display the mass for.